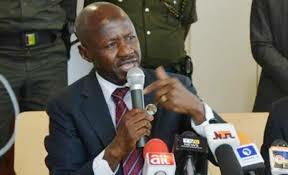 Magu slams SAN for receiving N1.7bn legal fee – Royal Times of Nigeria. 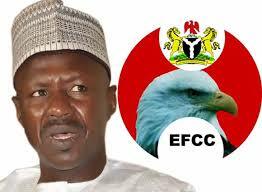 The acting Chairman of the Economic Financial Crimes Commission, Mr Ibrahim Magu, says some Senior Advocates of Nigeria have been frustrating the anti-corruption war by knowingly supplying the technical know-how and helping in the dispersal of the proceeds of crime. Without mentioning any specific names, Magu said a particular senior advocate received N1.7bn in legal fees from a corrupt politician without a qualm. He said the same senior advocate received N300m from a governor in the South-South as legal fees for an election petition case and failed to pay tax but quickly took advantage of the Voluntary Asset and Income Declaration Scheme when he realised he was under probe. The EFCC boss said this in a piece titled, ‘Need for Ethical Reforms as NBA Conference Begins.’ The piece was written to coincide with the annual general conference of the Nigerian Bar Association, which begins in Abuja on Monday (today). Magu said, “It is personally disheartening to see lawyers who invest their talents and expertise in advancing the cause of corrupt politicians and public officials. It is amazing that a senior lawyer can accept professional fees of N1.7bn from a politician without scruples! The EFCC boss said another senior advocate evaded taxes running into billions of naira but paid only a fraction of the amount.